According to a research Denmark is one of the happiest place in the world and one of the best places where living for many reasons. There is one of the highest GDP in the world, it is one of the best place for environmental safety and air quality. It is a very delicious place for students who have no low or no tuition. 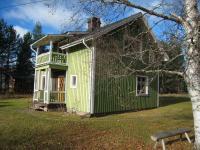 For these reasons properties for sale in Denmark price rises continue. The mixture of a strong and stable economy and a very business friendly climate makes Denmark the perfect centre of strong business networks and joint venture ensuring that you get connected from day one. In Copenhagen for example the average price is rising by 9% but many buyer are interested in property for sale in Denmark thanks to the quality of life. In Zealand region house prices rise by 10% and in South Denmark increased by 3,9%. The best places where looking for property for sale in Denmark are Copenhagen, Odense, Aarhus, Roskilde famous to be a Viking city . If you want to buy properties for sale in Denmark we can speak above all of the capital city where there are several designated development areas close to the centre. Ørestad that is a 3.1 million square metres new business and residential district. Carlsberg City District that,with its new housing, schools and offices creates a unique new neighbourhood. Nordhavn, a former industrial and commercial port converted into attractive residential properties. Take a look at the real estate properties for sale at: Scotland, Wales, England, Bulgaria, Ireland. Superb apartment on 2 main streets in the center. Great price.